If you are in doubt of the level of luxury and comfort you are going to experience as your taxi weaves its way up the back roads of Lech towards hotel Aurelio, perhaps the bright yellow, mobile Veuve Clicquot champagne bar in the front garden will put your mind at rest? Sitting in the style of a burger stand, but instead, serving the highest quality champagne, this is a clear indication of the luxury that awaits. 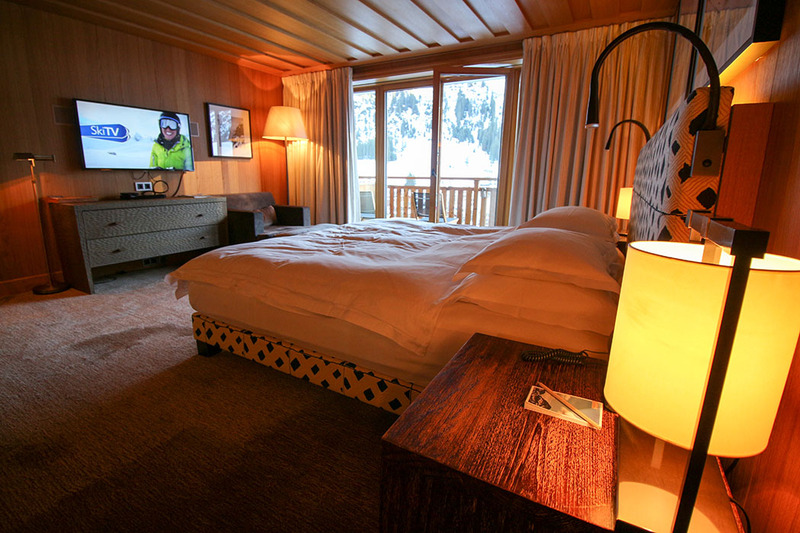 The look of the hotel mixes the contemporary with the alpine lodge. 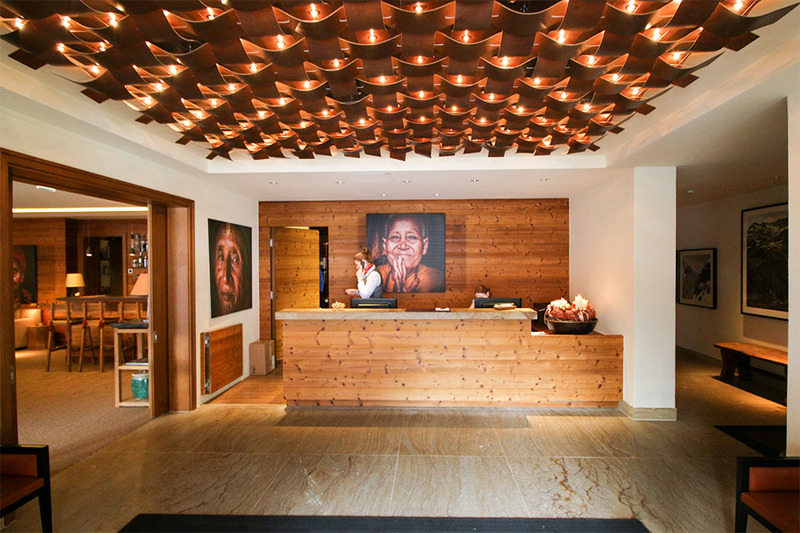 Pine covered walls are adorned with a selection of large limited edition prints depicting beautiful ski scenes in Lech. 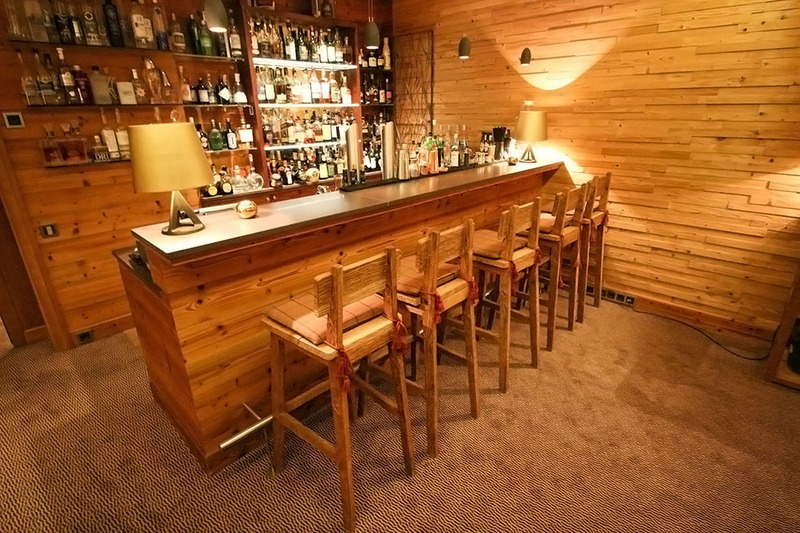 The glass and chrome of the ski fitting area combined with classic rustic looking pieces of wood furniture. 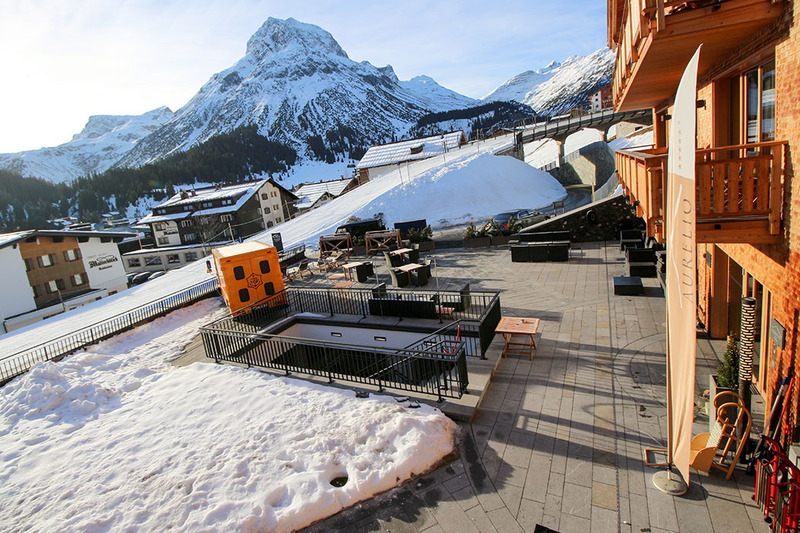 Hotel Aurelio sits towards the bottom of the main slope in Lech. 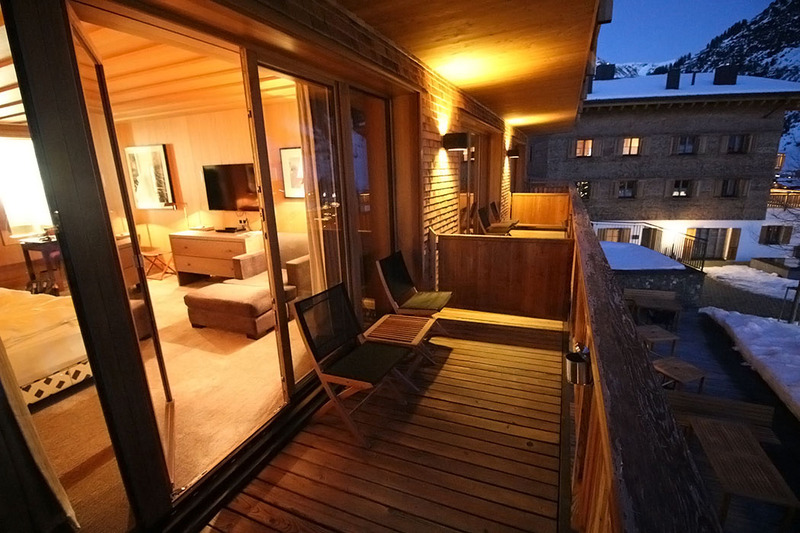 Clad in alpine woods and split into 3 buildings adjoined by an underworld of exotic spa and pool facilities, this hotel couldn’t be more ski-in-ski-out. You’re right in the middle of the action, there’s skiers descending all around the building and guests of the Aurelio clipping on skis and effortlessly joining them. The view from my room at the Aurelio was wonderful. It looked straight down into the middle of the town, situated high enough to give a birds-eye view of the proceedings below. A ski bridge resembling a picturesque ski bypass whisked skiers past me and around the front of the hotel, appearing to pass through the Veuve Clicquot bar’s array of comfy loungers before heading down to the valley floor. 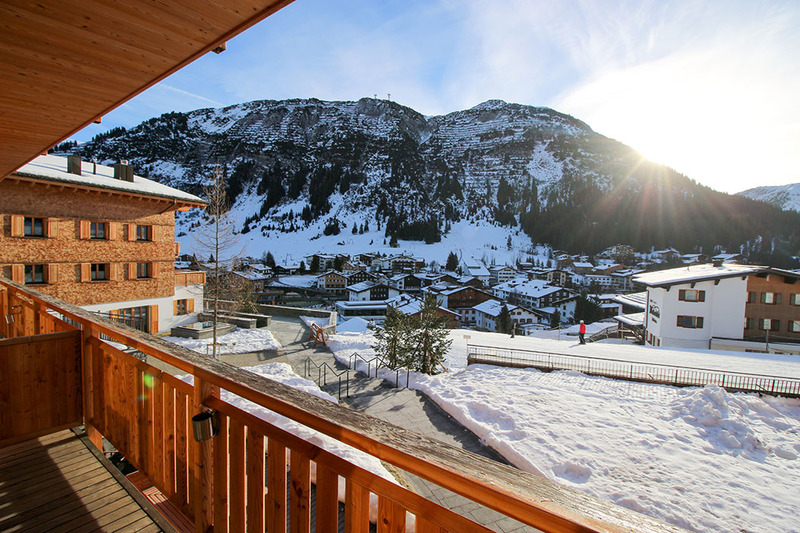 As I sat out in the sunshine of my balcony absorbing the scene, all I could hear was the swooshing sound of passing skiers carving up the snow to the backdrop of Lech and the towering mountains behind. The room itself was impressive. 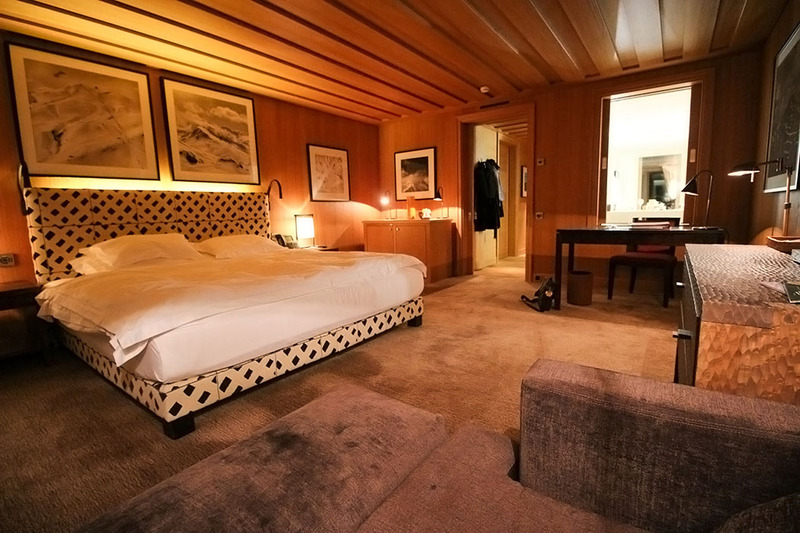 The immaculate finish, the pine-clad walls, the large comfy bed, a multitude of dimmers, (each subtly glowing to stop you fumbling for light switches in the dark), electric blinds and a deeply comfy chaise, all fit with the “no expense spared” feeling of the hotel. 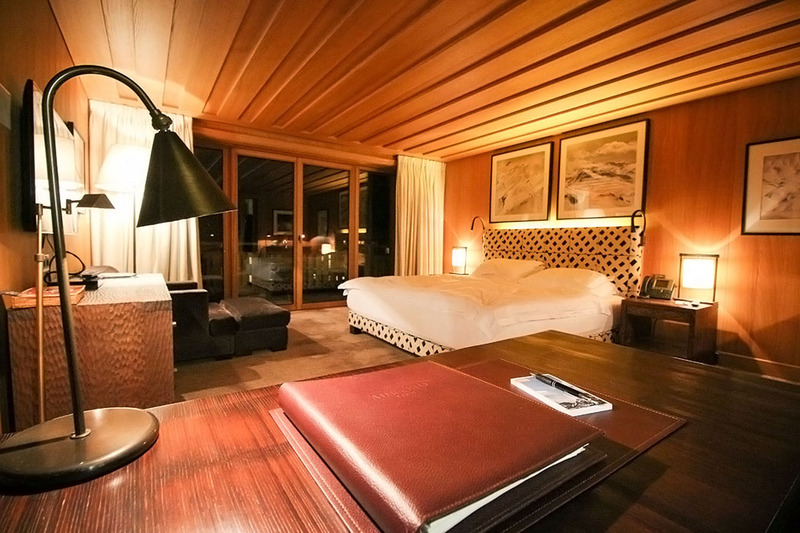 All rooms at the Aurelio appear to face south so that the sun streams in throughout the day and feature large balconies with views down the slope. 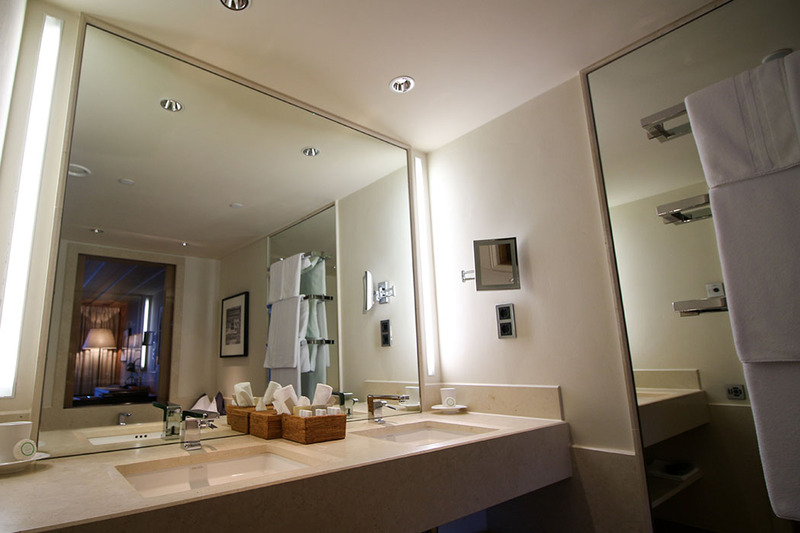 In addition all the rooms have a magnificent bathroom setup with a separate shower, separate toilet with bidet, a bathroom with double sink, excess mirrors and workspace, huge bath and expanses of marble tiling. Everything is where you expect, everything is of the highest quality and the view is one of the best I’ve experienced in Lech. The main bar was a large lounge area next to the reception. 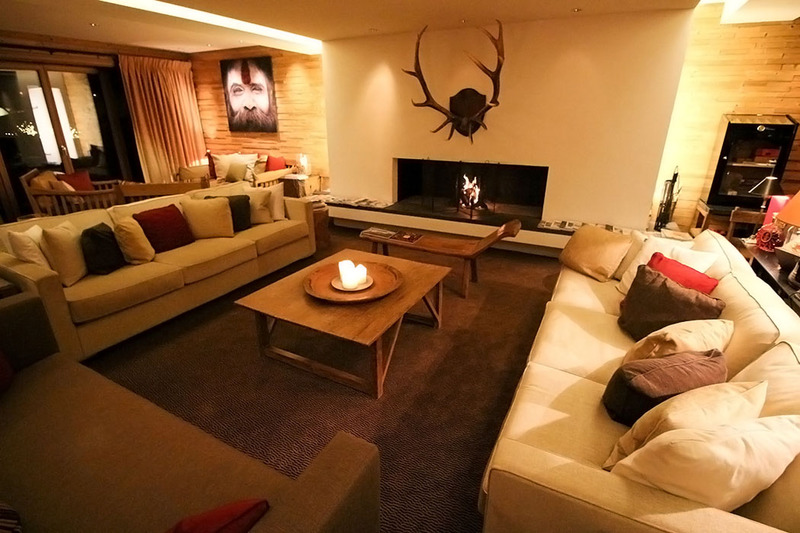 Manned by stylish, young staff, this large plush lounge contained a number of sofas which were strategically placed around a large roaring fireplace and framed by a historic set of enormous antlers from Scotland. 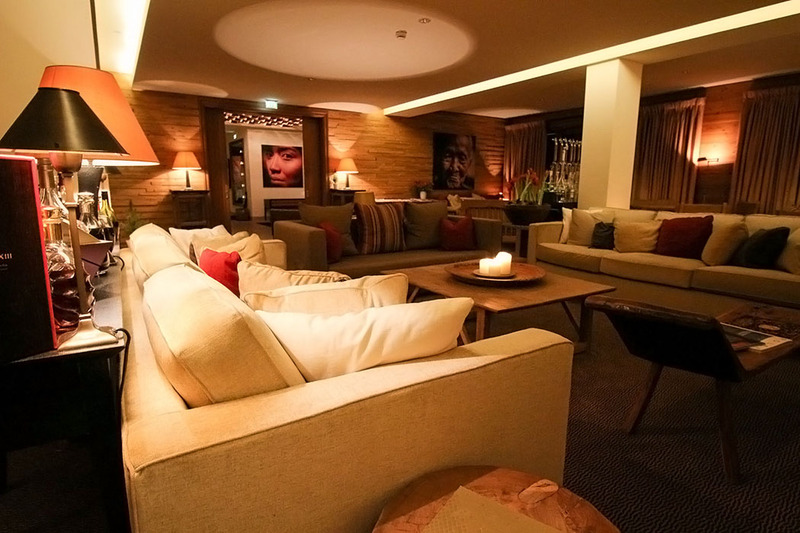 The feeling of the room was of a high-end chalet lounge. An impressive array of unusual bottles was scatted throughout to tempt patrons into the finer spirits on offer, whist a small unobtrusive bar was on hand to assists guests with their orders and keep the drinks flowing. 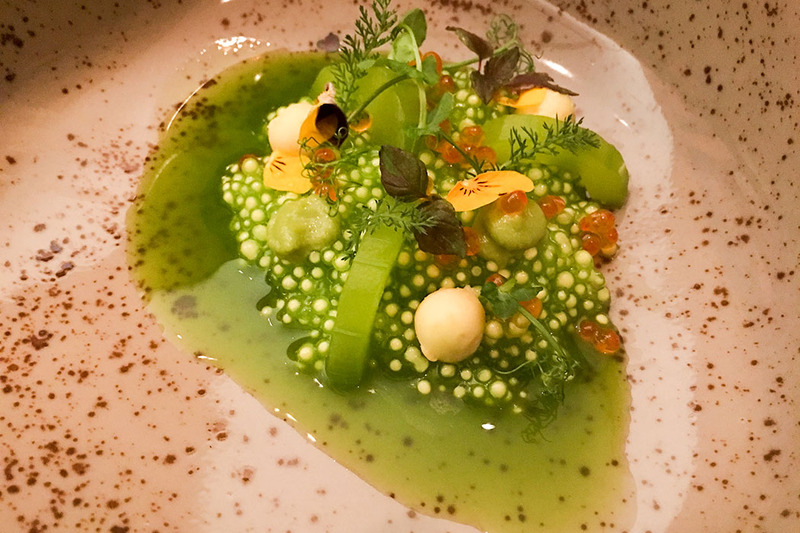 The highly acclaimed restaurant at the Aurelio enjoys 3 Hauben (17 Points) from Gault Millau awarded to Chef de Cuisine Christian Rescher and Souschef Markus Niederwanger. The restaurant offers a 5 course evening menu available to guests on a half board basis, as well as an a la carte lunch and evening menu at extra cost. The food was superb. Bread was delivered on rustic moss-covered logs of wood, dishes were beautifully presented with flowers and fresh herbs making them a colourful delight. Imaginative starters included risotto generously embellished with truffles, caviar and sturgeon eggs with a variety of accompaniments. 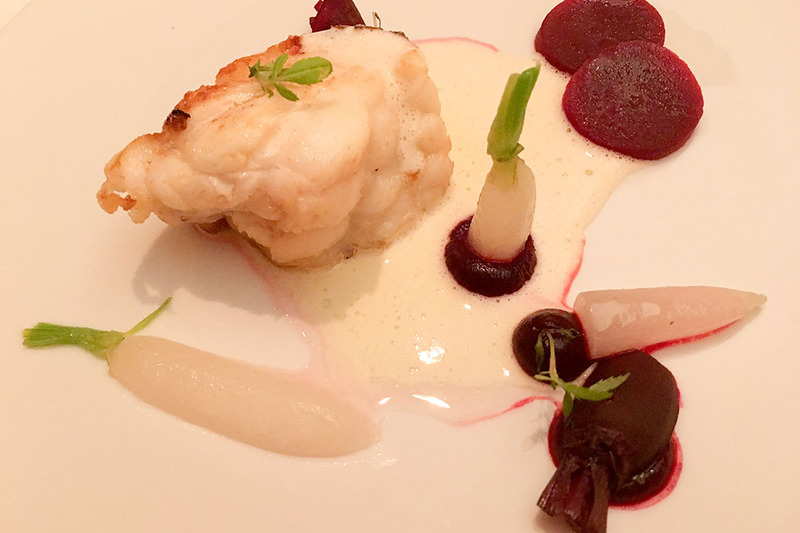 Creative mains were a choice of delicious monkfish, venison and beef. The Chef kindly added in two delicious pre starter amuse bouche which were both beautiful and delicious. The ambiance in the restaurant was modern and chic, the other guests were sophisticated and the staff were very sweet and throughly competent. We took breakfast in our room for our stay. A menu is on hand to give guest guidance, however the choice on offer is more or less limitless with a Harrods style attitude of “just ask and we will make it happen”. Breakfast at the Aurelio really was a rather relaxing way to start a day on the slopes. There was a large and stunning Spa area under the hotel with an immaculate pool and lounging area that was incredibly well designed, bringing in plenty of natural light whilst sitting below ground. 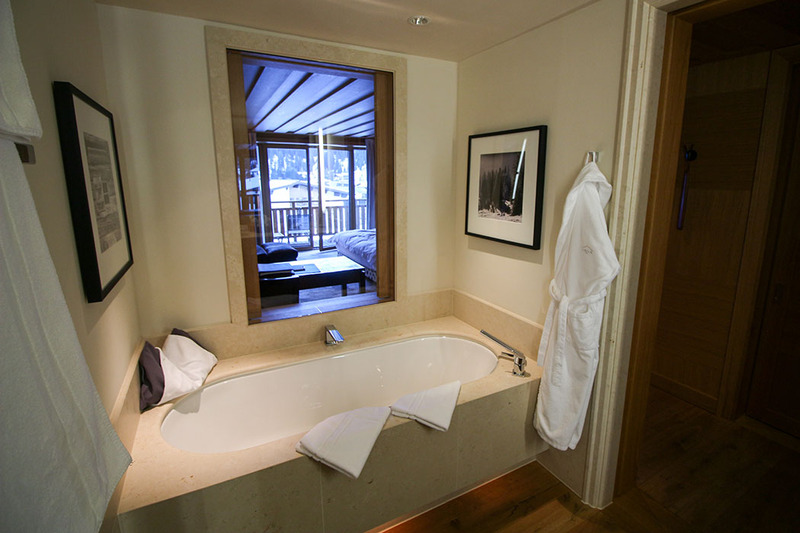 The relaxing Spa had walls of natural pine and the treatment rooms sit next to the gym and pool. The pool itself actually sits under the snow and slopes. Look up and out of the windows and you will see skiers feet going past! 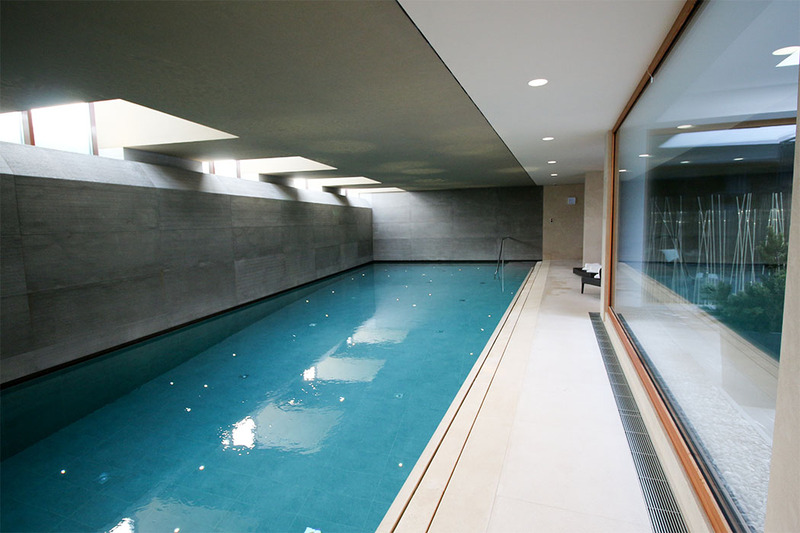 A glass stairwell in the centre of this underground realm, brings light and air into the space, and glass walls throughout make the pool a delight to swim in. 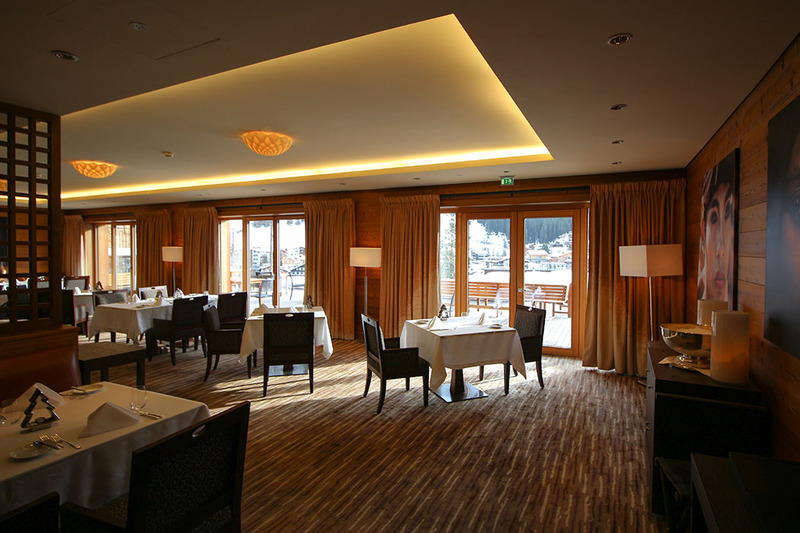 The utterly stylish finish of the interior, the location right on the main slopes, the breathtaking views, the impressive fine dining – there really is so much to like about the Aurelio. 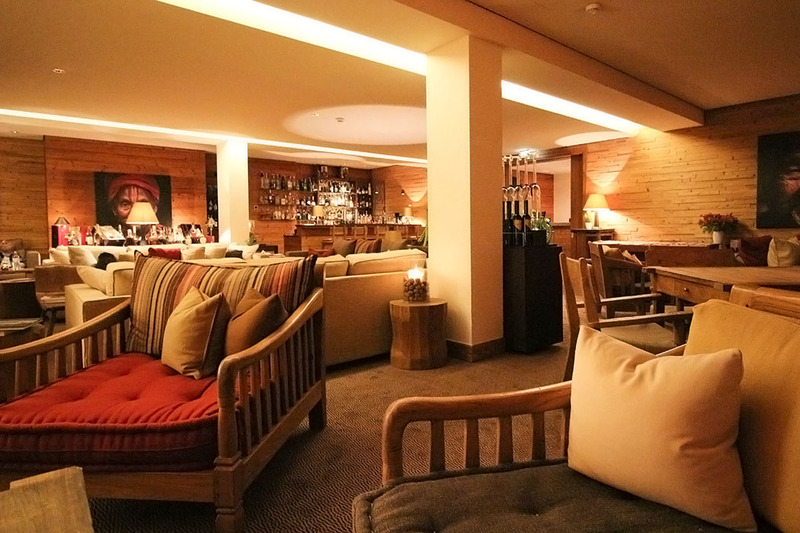 This is a superb ski hotel, with the bespoke feel to match an Aman resort. You really should try the Aurelio, even if you don’t ski, I guarantee that you won’t be disappointed. Lech also features in our best ski resorts in the world guaranteeing late season snow.